and support our work when you buy! When Earth Day was created in 1970, mainstream America was largely tuned out to the benefits of recycling. Fast forward nearly half a century, however, to Earth Day 2019 (April 22) and it’s fairly common to see local paper, glass and plastic recycling programs. But what about boats? A pilot project by recreational marine industry businesses in the state of Rhode Island aims to finally find a solution for recycling boats. The challenge today is that the most common way to dispose of an old boat is to crush and bury the pieces in a landfill where the fiberglass (essentially plastic) degrades slowly. 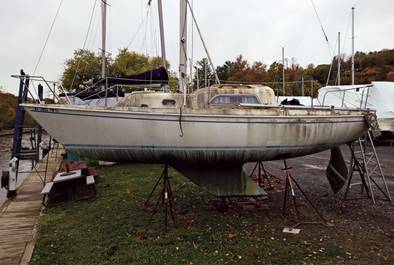 Some boats are abandoned, left derelict by their owners or lost to storms, potentially creating navigation hazards or causing environmental harm to waterways. 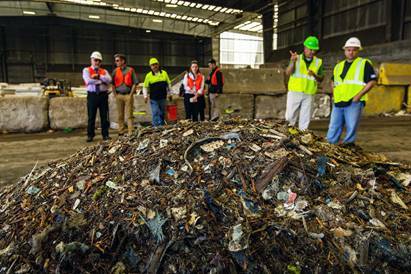 The pilot project has now collected 20 tons of recycled material and is preparing to process the material to supply to concrete plants, where it will be used as an energy source and as a filler for concrete products according to Evan Ridley of the Rhode Island Marine Trades Association (RIMTA), the project’s sponsor. 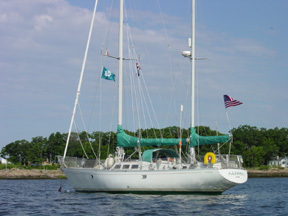 As part of the pilot expected to be completed later this year, RIMTA will also conduct an economic analysis of the pilot program to help determine long-term feasibility, investigate legislation and regulations supportive of fiberglass boat recycling, document lessons learned and develop resources to aid other fiberglass recycling programs. The Pilot Project was made possible with support from 11th Hour Racing, the Association of Marina Industries, BoatUS Foundation Grassroots Grant Program and the Rhode Island Resource Recovery Corporation.